Providing solid protection to your rear end. To offer the best possible protection when approaching and departing. 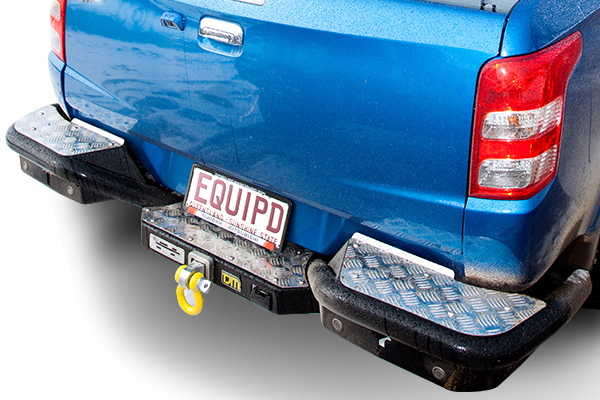 The TJM Rear Step Tow Bar is manufactured from 50-60mm steel tube, chassis mounted for strength and designed to provide your vehicle’s rear panels with solid protection. These bars also feature a checker plate step to access the tray and a Class 4 towbar. • Reverse sensor for applicable models. • Heavy duty tow bar.